Is doing his first year of the BA program in fine art photography at the Academy Valand. Earlier this year he exhibited at Konstepidemin and Gothenburg Art Museum. Källman works with cameraless photography where he creates works that represent the photograph without a camera being involved in the process. 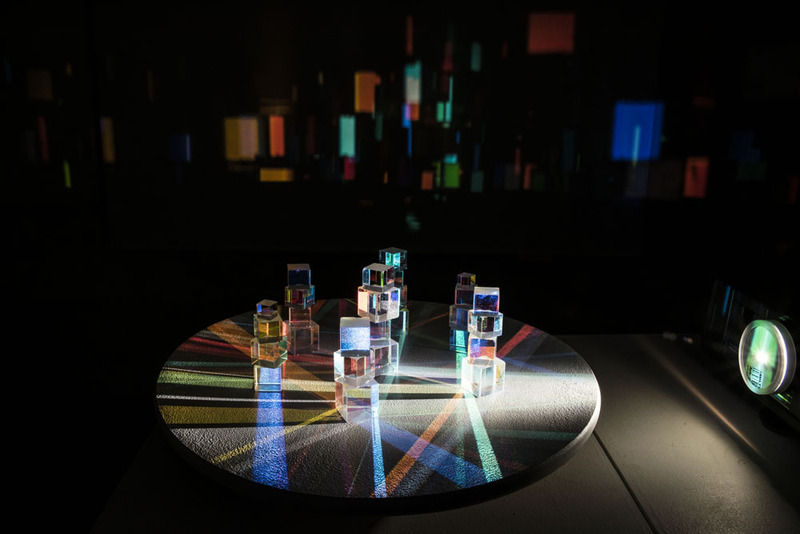 Luxtriplicata is an installation where I experiment with the color spectrum that occurs when white light breaks by a prism. The idea is to give the viewer a chance to step into my photographs so that they themselves become part of these by integrating with the work. I want to present with Luxtriplicata the phenomenon of photography in a new and imaginative way, while bringing joy and curiosity to the viewer.